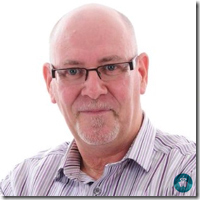 An experienced presenter, John has an engaging and humorous style accompanied by extremely professional graphic and audio presentations. "As a NASA retiree and an astronomer wannabe, I found Johns lectures to be most interesting, informative and inspirational. He is a gifted lecturer who has the innate ability to make the complexities of our universe understandable to all. 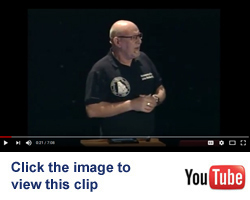 John speaks with authority and knowledge and makes learning about astrophysics downright �Fun�. - Jim Kennedy Former Director, Kennedy Space Centre . He is also able to provide "Stargazing" nights on board and can lead Aurora (Northern Lights) expeditions if required. Current 2 year, multiple entry visa for China. 1. Journey through the Solar System. A close look at our galatic address, how the Solar System was formed with a close look at the planets. An informative talk illustrated with the latest images of our Solar System and wonderful animations. A scary and humerous talk about the dangers we face from Near Earth Objects. This talk will have you gasping and laughing in equal measure! This is a fascinating talk about deep space objects, how they formed, how they evolve and what imapct they have on the Universe. Illustrated with images taken by John and the Hubble telescope. The Human race's greatest exploration achievment was begun as a direct answer to Russia's space programme and culminated in 12 human beings walking on the Moon. Since those days we have never ventured beyond Low Earth Orbit. This talk will cover the tragedies and successes of the Apollo program with some insights direct from astronauts who walked on the Moon. The first question astronomers are asked is, "do you believe in aliens?" In this fun but enlightening talk we look at the possibilities of life in the Universe and the way aliens have been imagined by Hollywood and others. Be prepared for some intriguing questions and sensible answers with a large lump of "tongue in cheek." Why are women under-represented in the world of astronomy? This is the story of some of the women who shaped our knowledge of the Universe and how they have largely been ignored! Stars, the source of life in the Universe. How they are made, how they work and the role they played in making us what we are. A stunning talk illustrated with fabulous images and videos from Solar satellites and ground based observatories. The history of the Universe from beginning to end in just 45 minutes! What do we know about the birth of the Universe, how it expanded and evolved and how it will end. Learn bout Einsteins "greatest blunder" and the men and women who discovered the secrets our existence. A beautifully illustrated talk (images by aurora expert Andy Green) about the phenomena known as the "Celestial Lights". We will explore the source of these colourful, dancing lights and the mythology attributed to them as well as looking at how the aurora is driven by Space Weather. This talk examines what is available to see in the Southern Hemisphere and compares those skies with those in the North. How do we navigate in the Southern Hemisphere and why is there no "Man in the Moon?" What part did Aboriginal astronomy play in the building of Australia's highways and the mythology behind the Southern stars. In this talk we look at how the Viking explorers used the Sun and the night sky to free themselves from coastal waters. We will examine the Norse constellations and the myths attached to them. We will also look at how the Viking used the legendary �Sunstones� to navigate. In this talk we look at some of the greatest characters in the history of science including, Copernicus, Galileo, Kepler and Isaac Newton. We will explore their trials and tribulations, their successes and failures and the impact they had on the Universe and, of course, the human race. completion, highlighting the key moments and the exciting moments that have already happened and those yet to come. This is a chance to get an insiders perspective of a real NASA space mission to fly to an asteroid and return with a sample from the birth of the Solar System. 14. Fact and Fiction - The Science of Star Trek, Star Wars and the Movies. We look at the science portrayed on iconic TV shows such as Star Trek and movies like Star Wars, Interstellar and the Martian. What is true and what is fiction? Could Scotty really "beam us up", will we ever travel through Wormholes and did Mark Watney have to be left behind on Mars? Regular Royal Astronomical Society guest speaker on Cunard line. John Maclean served for 25 years in the UK Military and has travelled extensively including the Antartic. He has his own, fully robotic observatory used for imaging deep sky objects and studying the Sun.